Renz Construction knows that the exterior of a house is just as important as the interior. 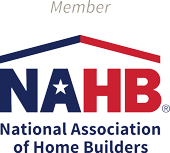 The exterior of your home can encompass a number of things including the front entryway of your home, an elevated deck, a stone or wood patio, or even a back or side entrance. The garage is also an important element to the exterior of your home – not only are the design and aesthetics an extension of the house, garages are also incredibly important in the safety and security of vehicles, lawn equipment, shop equipment, and even household goods. 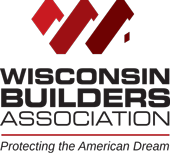 We have spent years designing and building custom entryways, luxury garages, and outdoor decks for all of Lake Country, Waukesha County, and beyond. Entryways make a statement. They are the first impression of your home and add tremendous resale value to the property. An entryway adds character and depth to the outside of your home while providing shelter for anyone making their way in. 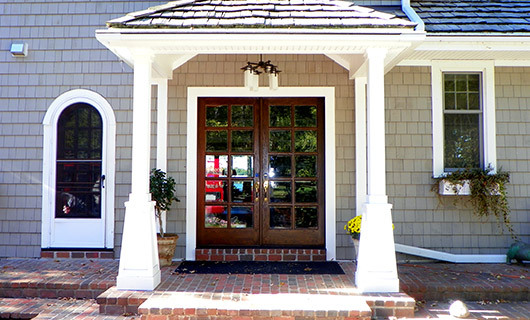 Because entryways are exterior structures, they can easily fall victim to the elements. Rotting wood, loose railings, and dipping roofs are not only unsightly, they are unsafe. Keep the entrance to your home beautiful and safe by working with Renz Construction to design and build an entryway that adds form and function to your home. Create an inviting space that includes a beautiful set of stairs, custom columns, wood shingles, and sturdy railings. Customize the experience by adding a rounded ceiling, using custom beadboard wood slats, install Bluetooth speakers, security systems, and even built-in benches or planters. 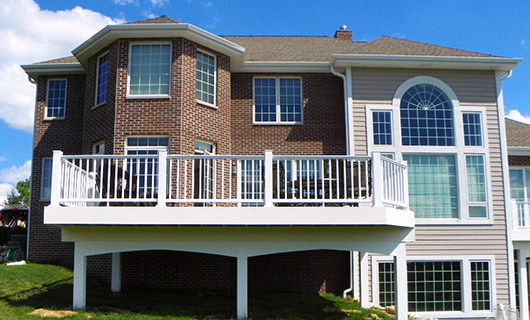 Renz Construction can optimize your outdoor living space by adding beautiful, functional, and long-lasting elevated decks or patios to your home. Using only the best quality composite and outdoor materials, we work with both an architect and an engineer to ensure the decks we build are safe and unique entertainment areas for friends and family to enjoy for years to come. Add custom features like built-in seating or pergolas to make your outside space stand out from the rest. Add brickwork, custom barbecues, and walkways to complement your home from every angle. 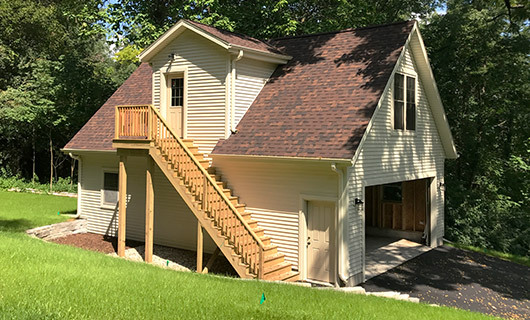 We build our custom garages from the ground up using architects and engineers to ensure the structure is reliable and sound. From custom poured-concrete foundations to luxury overhead doors, Renz Construction can customize your garage to meet any needs. We take the time to ensure the exterior of your garage is just as beautiful as your home – using materials and styles to match existing aesthetics. If you aren’t interested in creating a matching structure and have a completely different vision, we will work with our architect and designer to find the right materials to bring your dream garage to life.